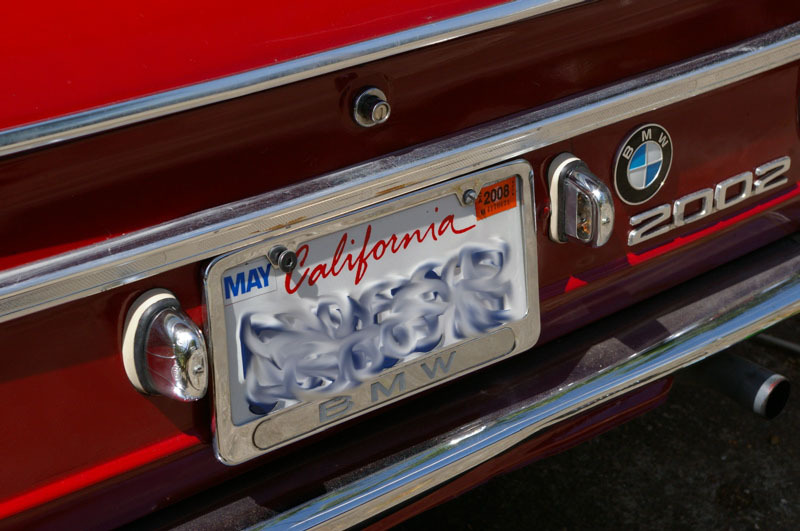 This past weekend at the big 2002 meet in Palo Alto (thread that fell flat on its face about that, too). I’ll probably end up using it to get the head rebuilt since it sorely needs it. Other than that, I want to get some urethane parts for the suspension (although I guess it’s not completely necessary), and assess the steering parts. I have some idler arm bushings coming either this week or this week (that ought to be fun ) and once my funds recuperate I’ll be buying new tie rods. A really minor update (mostly to keep this from the clutches of the SA forums archives) but sometimes the little things can be the most satisfying. Got rid of that pesky ballast resistor as these blue Bosch coils apparently have them built in. Someone said it was costing me spark but I haven’t noticed a difference. 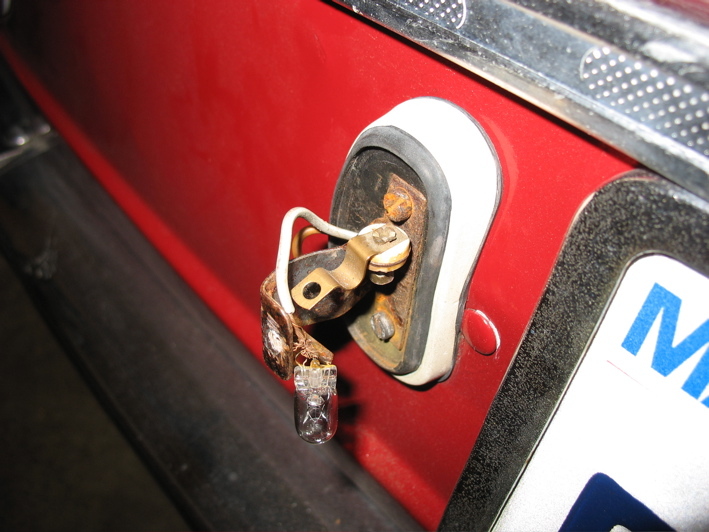 Cleaned up the mounting points on the grounding strap and not only does the car start almost instantly, but it seems my inconsistent blinker problem has been solved! 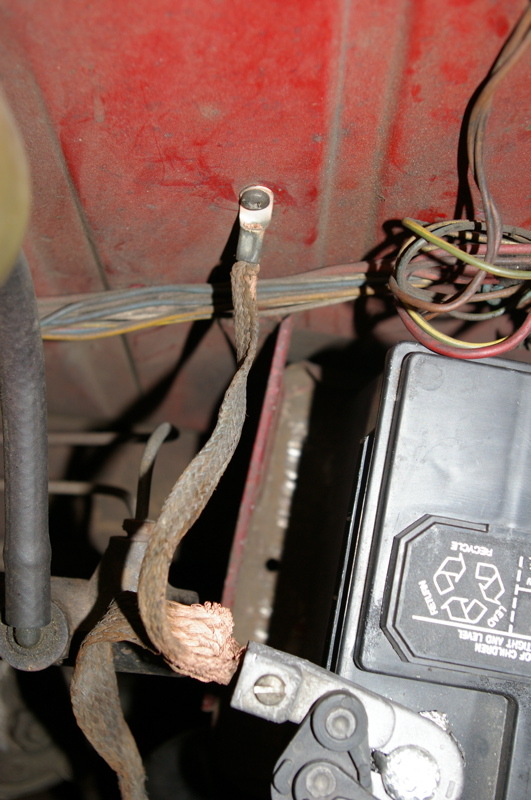 For anyone else with a 2002 or any old car, it seems that grounding problems account for 95% of the electrical problems you might have. For the past five months or so I’ve been driving solely on INTUITION and TELEPATHY (but I guess the flow of traffic has helped me too) in terms of speed. My, the transmission end of this speedometer cable looks mighty round! Square, German, and best of all: Free! 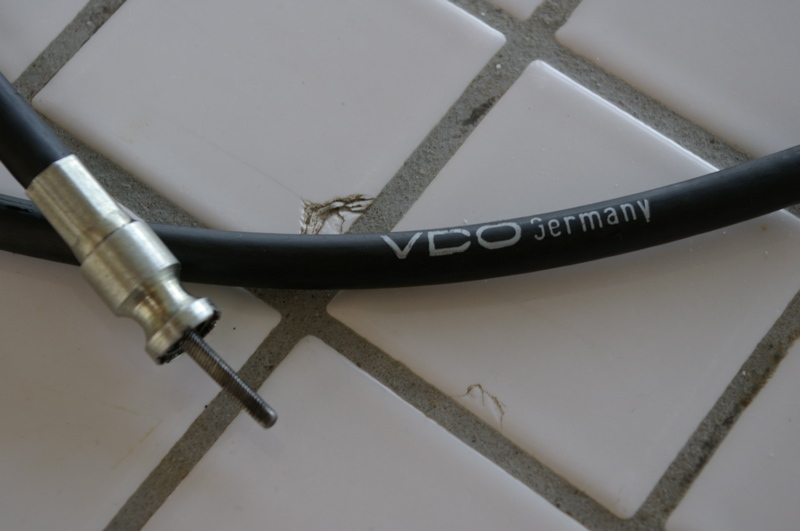 With everyone swapping out their 4-speeds to 5-speeds, the 4-speed speedometer cables have fallen out of favor with automatic cables being more sought after. 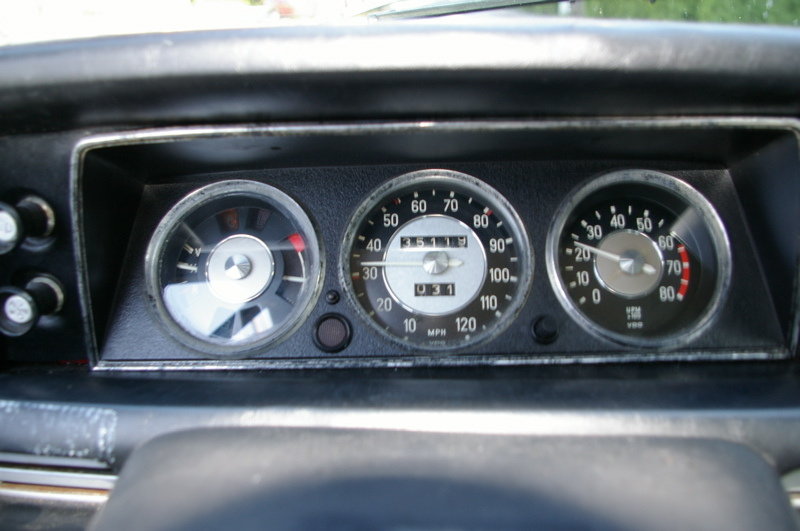 Put that sucker and VIOLA: I now have a speedometer. Bonus: odometer too. I got a Pertronix kit for Christmas so I don’t points any more either. Not that I ever had a problem with them. And here’s what Mobile Tradition has to say about my car! New York City. 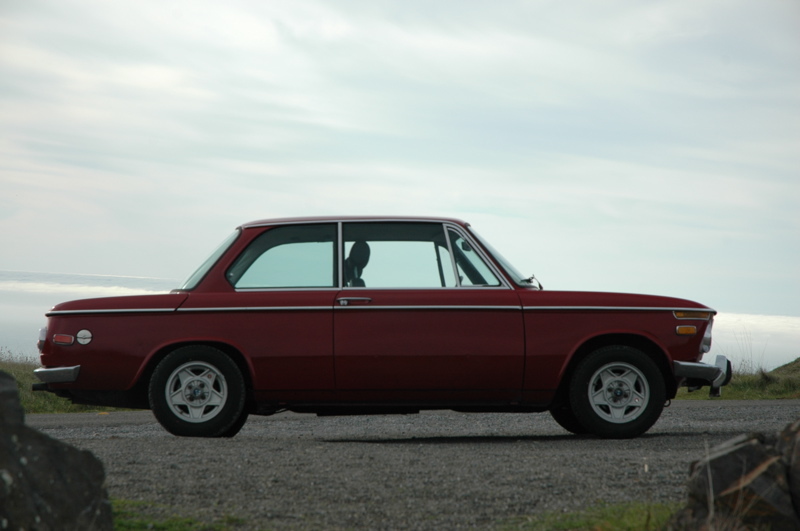 The original colour was Granada, paint code 023. Personally I’ve been kind of bored by the multitude of car recommendation threads and stuff that have been in AI lately, so to not be a total hypocrite, I’ve decided to make a project thread. I’ve been meaning to for the past, oh, year, but you guys know how it is (“effort” ). 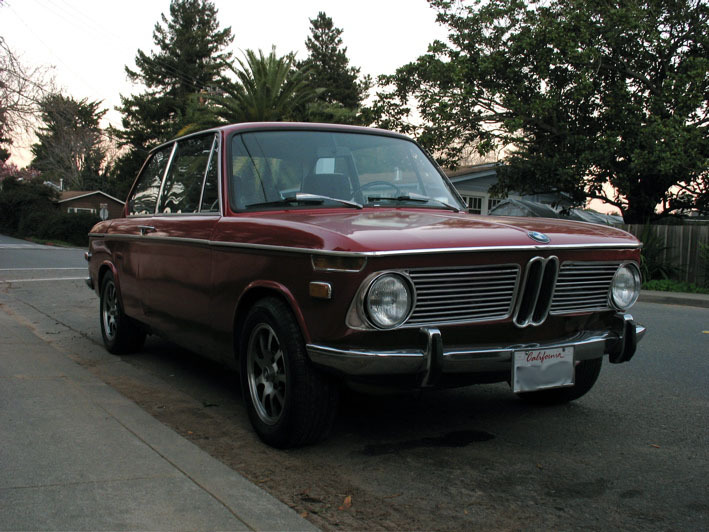 This is my 1969 BMW 2002 that I got when I was 16 in February of last year for $2500. Whenever I told somebody what car I had, even after mentioning “1969” they kept thinking “WOW YOU MUST BE REALLY SPOILED OR SOMETHING” even though it’s not watertight and it burns oil like crazy and you had to have a special touch to get the transmission to shift. No, I’m not that spoiled but I guess you can say I’m a bit of a masochist. People kept asking me why I didn’t get an early Mustang, as my dad has three of them. The only reason I can think of is that my dad mentioned to me when I was 14 that a neighbor had 2 2002s for sale for about $1500. I never bought them (no money) but I did take note of it. 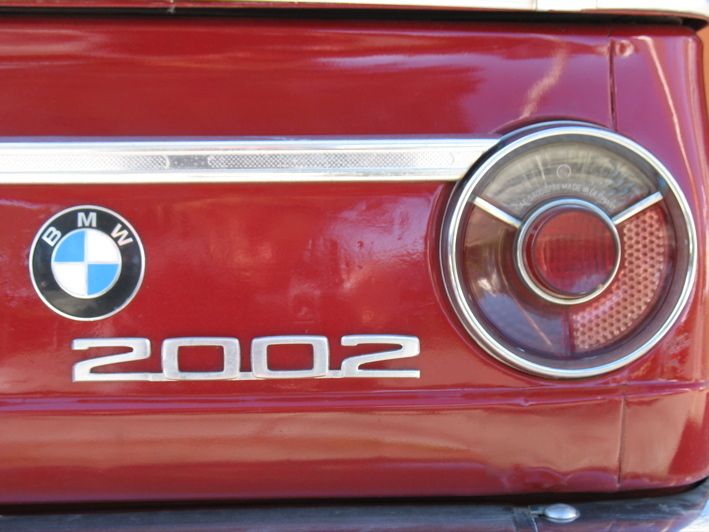 Basically, I chose a 2002 because they were different than a Mustang and they had enough of my dad’s approval that he would probably be glad to help me with it if I needed it. Equipped with a tired 1990cc M10 engine and a very, very, very crunchy Getrag 232 4-speed transmission, I had my work cut out for me. Luckily, the rust cancer was fairly limited on this car; structurally it was damn fine. 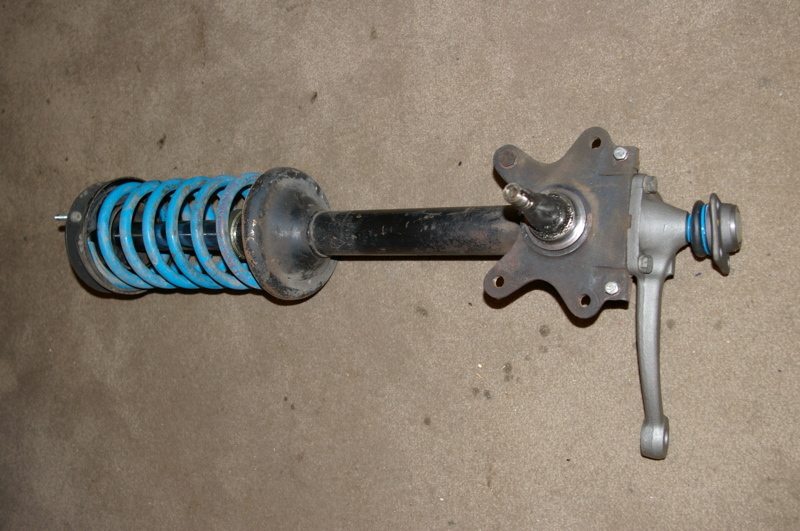 The floorboards had some slight surface rust, but the shock towers and frame rails were in fantastic shape. The spare tire well was full of little holes, but that’s fine. Pretty easy to cut it out and weld a new one in. Of course, it did have its fair share of problems. The first noticeable thing was that the tailpipe rattled and banged against the rear bodywork. A minor annoyance that can quickly turn into a major annoyance, but it wasn’t really hurting the car any. I still haven’t figured out what the hell causes this, but at this point I’m willing to bet it’s in need of some new motor mounts and a new transmission-exhaust bushing. On the test drive, it was clear the transmission needed help. Going from neutral to 1st resulted in a little grind, and going from 1st to 2nd too quickly caused a big grind. Easy enough to shift from first to neutral, wait 4 seconds and shift into 2nd, right? Just another minor annoyance. And because the 3rd to 2nd shift made a horrifying screeching grind, I learned how to double-clutch into 2nd in a relatively short amount of time. I still do it today with a better transmission, just because of muscle memory. 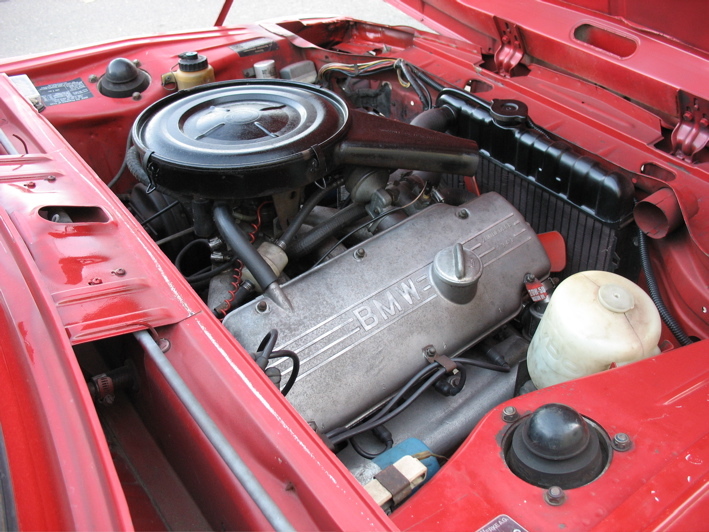 The engine loved to burn oil on deceleration, which obviously points to a tired valvetrain. Just another minor (embarrassing, really) annoyance. Living in Marin County which may have the highest percentage of Priuses on the road of any County ever didn’t help my quell my shame. Whatever, at least I didn’t need to use the resources needed to build a brand new car, right? A few agonizing months passed as the 2002 lived in my mom’s garage. I didn’t have my license yet so my solitary driving experience in it was basically backing it up and pulling it into the garage. I guess it was no wonder I could use the clutch without a second thought when I drove it with my parents. During school I didn’t have a job to pay for parts, so nothing of note really happened with it. 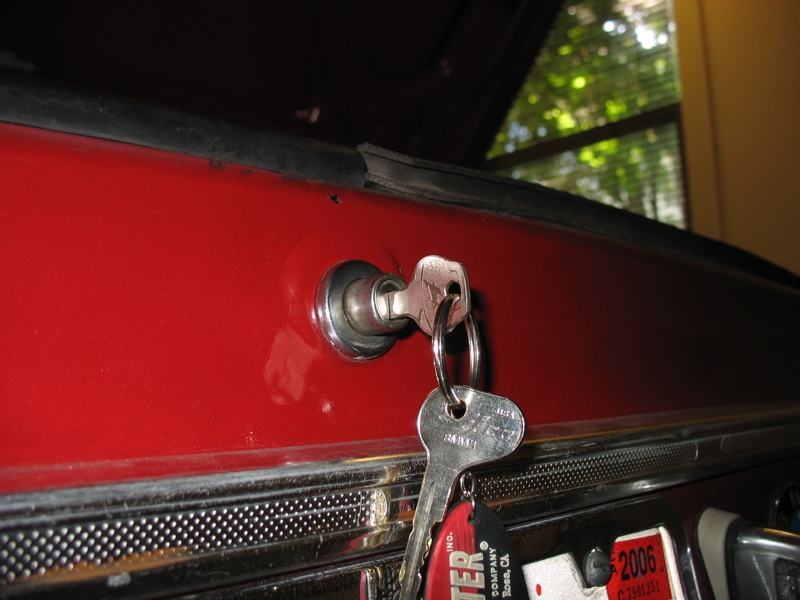 I got some things, like a new trunk lock with key (the old one looked as though someone took the jaws of life to it) and a passenger side window regulator (because there was nothing at all in the door when I got it except for the glass). 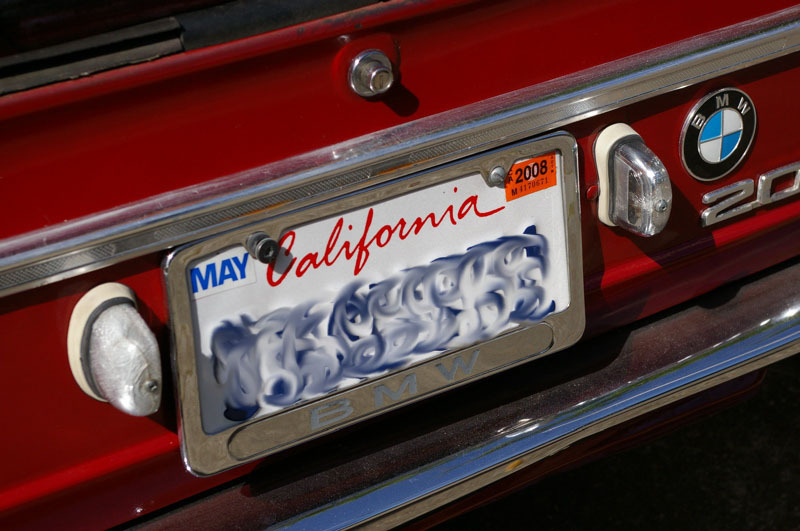 Eventually June 2nd came, and on that day I was finally granted a license by the California Department of Motor Vehicles. Finally, I can drive without the inhibition of those pesky parents! The first time I drove alone, I took it up a twisty road and had a blast. On the way back, a guy in a blue E39 M5 looked over to me and said “Nice car!” I guess that’s a good way to start driving. Soon after, I got a job and started earning some much needed money. The first thing to buy was a set of Bilstein HD shocks. 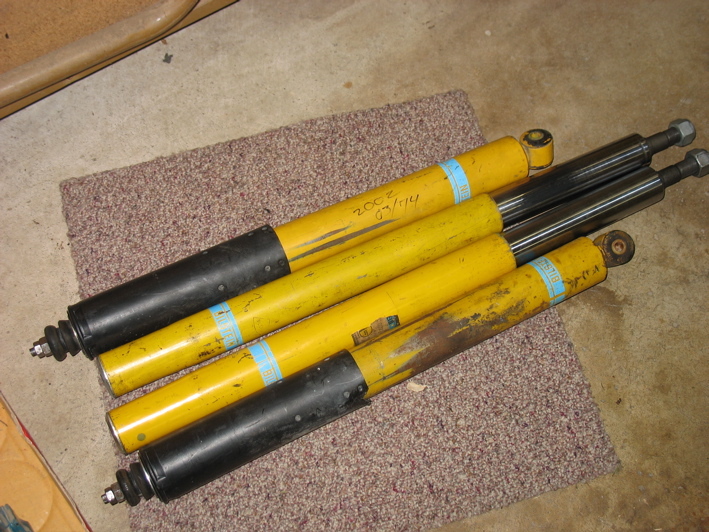 Against the advice of some, I bought a set of 4 used shocks for $100. I didn’t install them for a while (too long) and suffered with the KYBs that came with the car for a few months. About a month later, right before going on a family trip to Italy, the starter finally died. It had been on its way out for about 2 months, getting to the point where I’d carry a 1/2″ breaker bar around with me to whack the hell out of it whenever it decided not to cooperate. Like that one time I stalled in the middle of an intersection. Yeah. I got the starter rebuilt and haven’t had much trouble since. So in went the Bilstein rear shocks. It took about 20 minutes to do both (<3 trailing arm suspension) and oh my God was the ride improved. 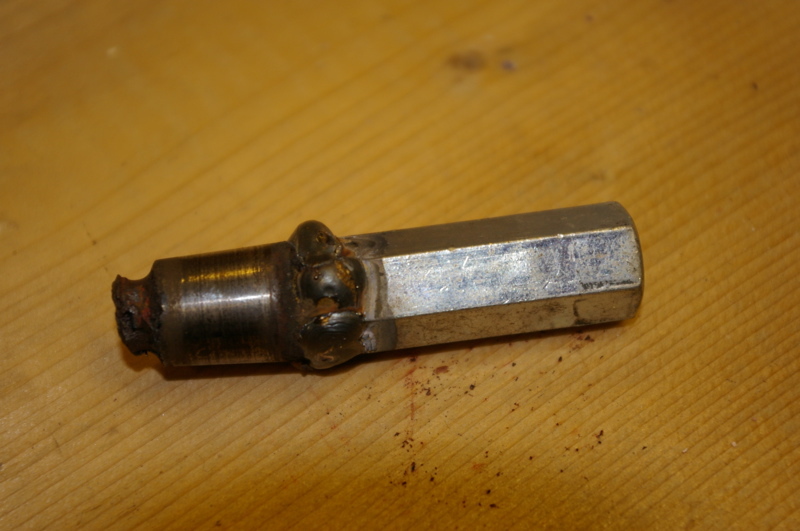 It didn't help that the upper shock bushings were destroyed and banging against the body, but that was fixed too. I wasn't too confident on doing the front shocks as I'd never done anything with MacPherson struts before, and the ride was improved enough that I didn't see an immediate need to do it. Unfortunately, a lot of the rubber on my car was way past its prime and needed to be replaced. Windshield seals front and rear, door seals, rear window seals, trunk seals; everything. I figured since rust was enemy #1 I’d start battling it by stopping the water from entering the car. 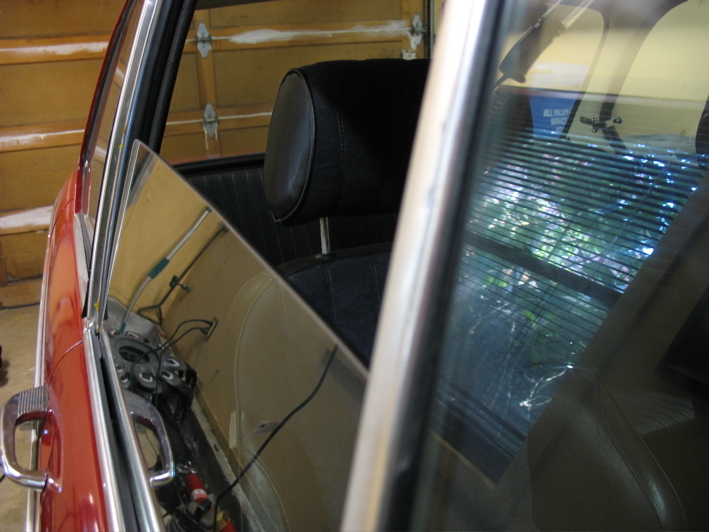 Ninety dollars later, I had a pair of brand new, OEM rear window seals… That wouldn’t go in for another 6 months. Lack of motivation, I guess. In between then I replaced front wheel bearings as there was a little bit of lateral play and bought some Volvo 240/Girling front brake calipers so that I could convert to ventilated front discs at some point (they were $20 shipped, how could I resist?). Then I started buying wonderful items that I didn’t really need but wanted to buy anyway. A man advertised a whole bunch of his old 2002 stuff on craigslist for some unbelievable prices. 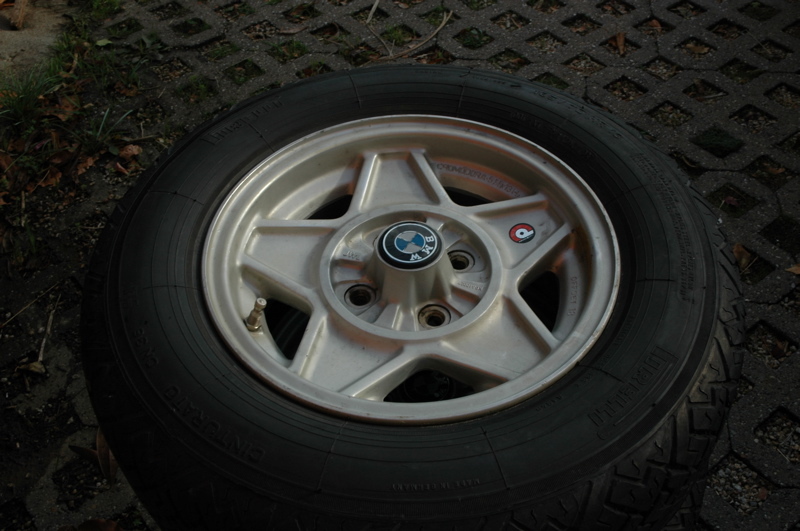 I’d always loved the way Cromodora 5-spoke magnesium wheels looked on old cars (no wonder they used them on Ferraris for years), and this guy just happened to have a set. For $400. I’m not sure if I’d ever emailed someone so quickly. Unfortunately, I wasn’t the only one interested in the wheels. I decided to drive to Fairfield anyway to see what he had for sale. When I got there, there were three other men looking for parts as well. This guy had some seriously nice stuff, some practically brand new stock seats, NOS tii struts, shocks, NOS control arms, and all sorts of odds and ends. I picked up a Stahl header for $20 (they go for slightly more than that) and eyed the Cromodoras, surprised they were still there. Much to my surprise, nobody else was particularly interested in them. After a long drama trying to coerce the funds out of my bank account, they eventually came home with me. I almost crashed my dad’s truck on the way back (“just be careful, it’s raining out and the truck needs new tires”) but who cares I just paid the price of one of these wheels for a whole set. They were absolutely cherry; still had the original Pirelli 185/70R13 tires on it with plenty of nice and pliable tread, even with some of the little “hair” things on the rubber. That pesky transmission had to be dealt with, though. An acquaintance online graciously decided to give me a known-good 4-speed transmission for free. It was a later, Getrag 242 box too, which comes equipped with Borg-Waner style synchronizers, which are much more robust than the Porsche-style synchros in my 232 box. 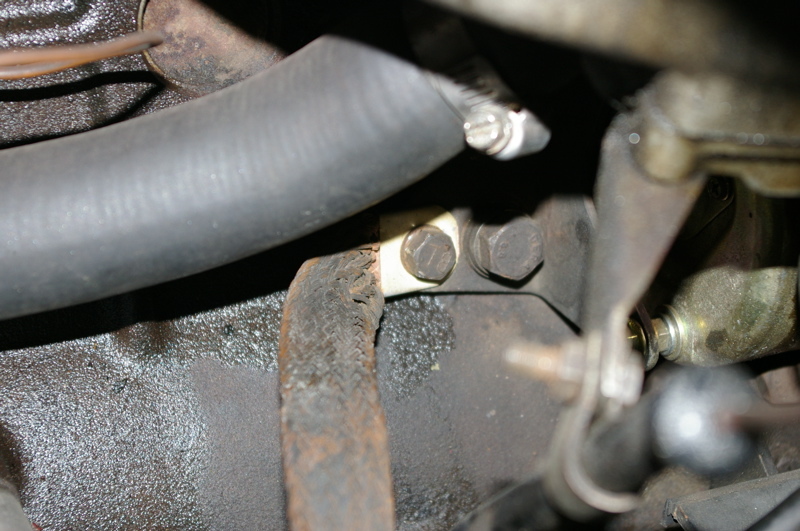 I soon discovered one of the most difficult aspects of this car: everything that needed to be worked on had been plagued by rust. EVERYTHING fought against me while trying to replace the transmission, ending up making it a 10-day ordeal. But the transmission was finally in, with the shifter feeling tighter than ever. But it must have a broken tooth on the input gear or something, because it whines under power in all gears except 4th. Oh well, I’m not going to complain since it was free. 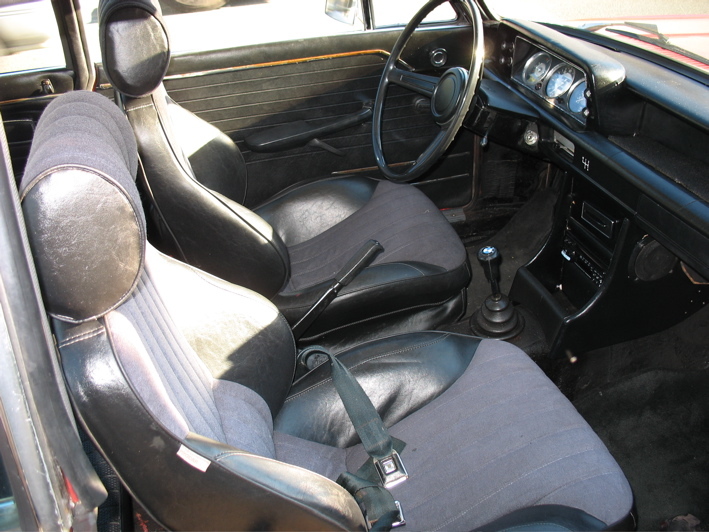 For Christmas, I bought my car a new steering wheel from an E21 320is in order to get rid of the bus wheel that came with it, and finally got my Cromodora CD36s wrapped in Sumitomo HTR-200 rubber in 195/60R13. But by this time, it was raining a lot more in the Bay Area, and I could definitely tell by the amount of water making its way into my car. The glovebox was completely waterlogged, getting all my maps and registration/insurance papers in the process, as well as killing my FasTrak transponder. The culprit was the old front windshield seal. Water leaked through the rear windshield too, collecting under the old tar sound deadening. This prompted me to buy close to $400 worth of rubber for the car; front and rear windshield seals, tail light seals, and B-pillar seals for the rear windows. First to go in were the side window seals, which with some soap, just flew in. Now it was time for me to get around to installing the front struts. 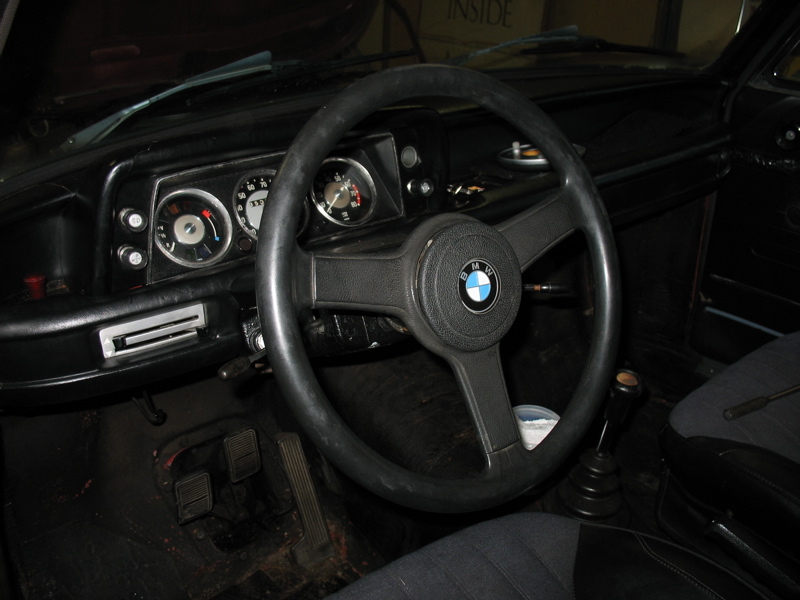 I had tried a few months prior and found that the strut inserts were wrong; probably for an E21. I exchanged them with the seller with no problems, and put the new ones in. As before with the transmission, I learned that with the first time I removed the struts that everything fought. 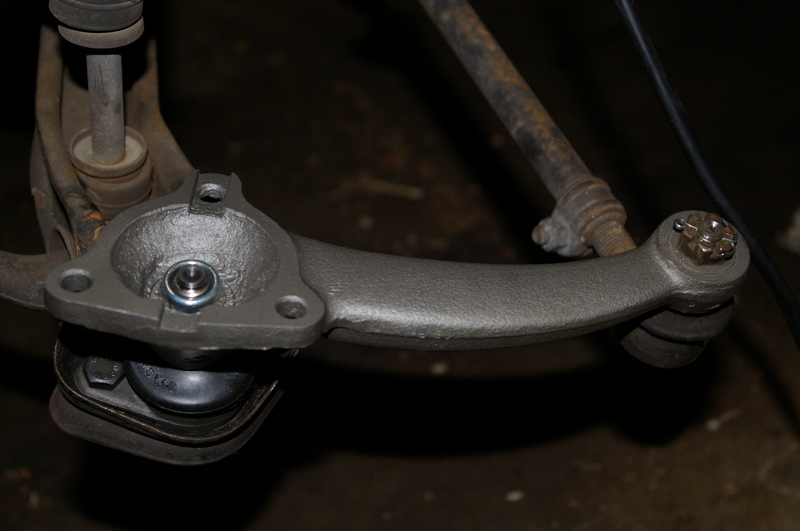 I broke two out of the three bolts that held the strut to the ball joint, and used some helicoils to repair it. I didn’t really trust them, though, so I found some great condition strut housings for free. Since I’d taken everything apart already, I installed the new struts in a night. That was easy. Yes, I meant to take the picture on that counter. Somebody offered up a box of mystery parts on the 2002FAQ forum, so if I paid shipping I could have it for free. 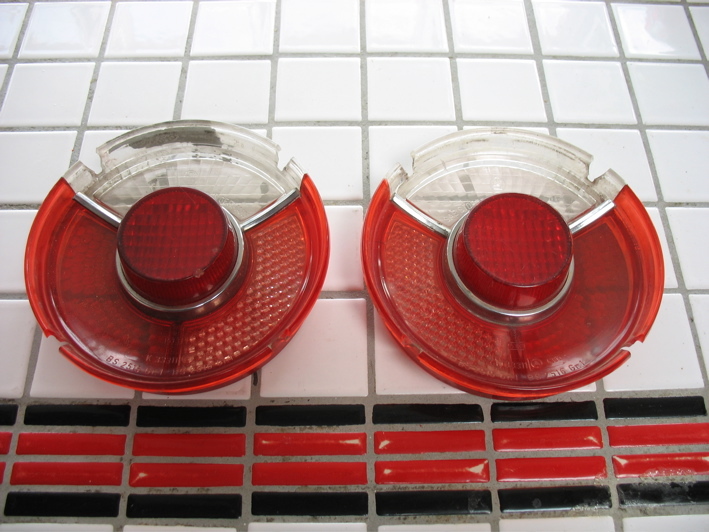 Twenty dollars later, I had my 60lb box that consisted of 3 halfshafts (there’s your weight), some US-spec bubble turn signals, front timing chain cover, battery tray, the correct handbrake handle for my car, and my favorite: Red-centered tail light lenses, which are correct for a ’69 like my car. Now it doesn’t have those silly orange lenses that don’t match the car. I bought some more necessities for my car: Brand new Hella plate light assemblies for $23 a piece, 2 new Meyle ball joints and two windshield lockstrips for about $105. 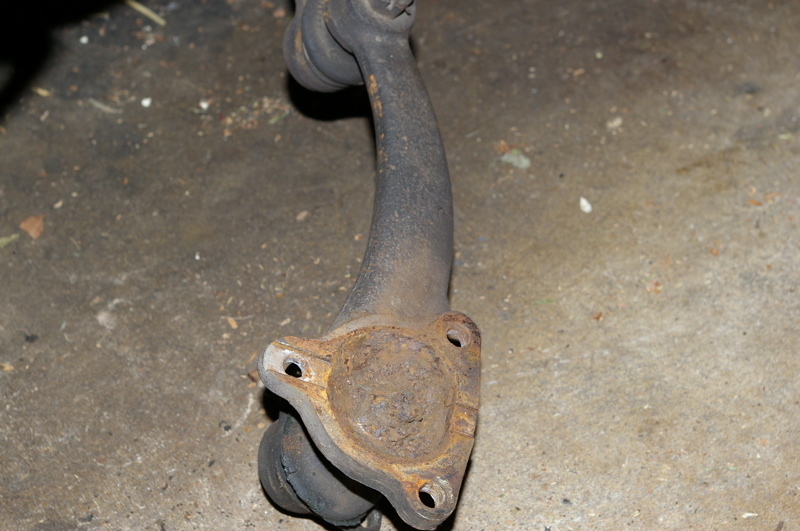 The ball joints were terrifyingly rusted to the steering arm. When I looked at it, I could hardly tell there was a nut there. It looked more like a rusty blob. 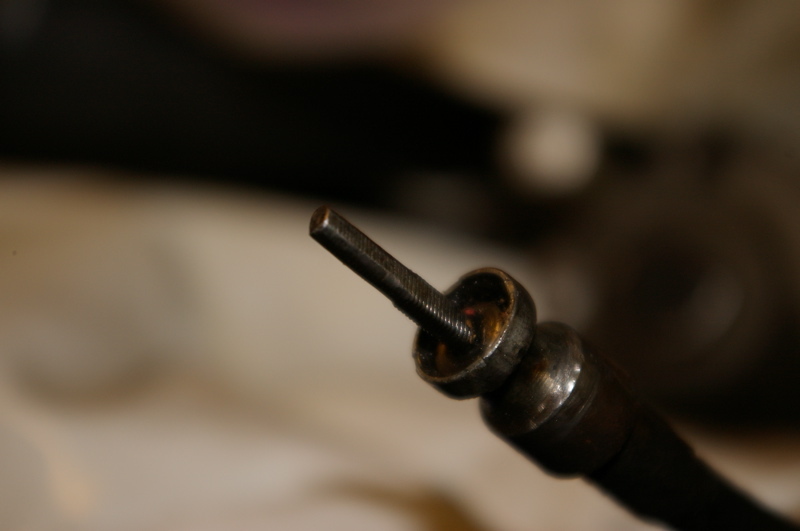 For one side, the old ball joint spent some quality time with an air chisel, drill press, a hacksaw, when I gave up. While at work, my dad called me up and told me he got the old part out of the steering arm. It’s amazing what welding a piece of rod coupling will do. Now I don’t have to worry (as much) about my suspension falling apart! I decided I needed to put the rear windshield seal in. Having no experience with such a thing, I called up my new friend who gave me the transmission, who had done a similar task. Unfortunately, the front is far easier to install than the rear. What was supposedly a 15 minute job with a soapy rope ended up being a 2 1/2 hour job with dental tools and small flathead screwdrivers. With the lip of the seal hooked all the way around, it still didn’t look like it was sitting quite right. Time to break out the mallets. Much to your surprise, the windshield didn’t crack and fits perfectly now. Well, that’s basically everything I’ve done to my car so far. 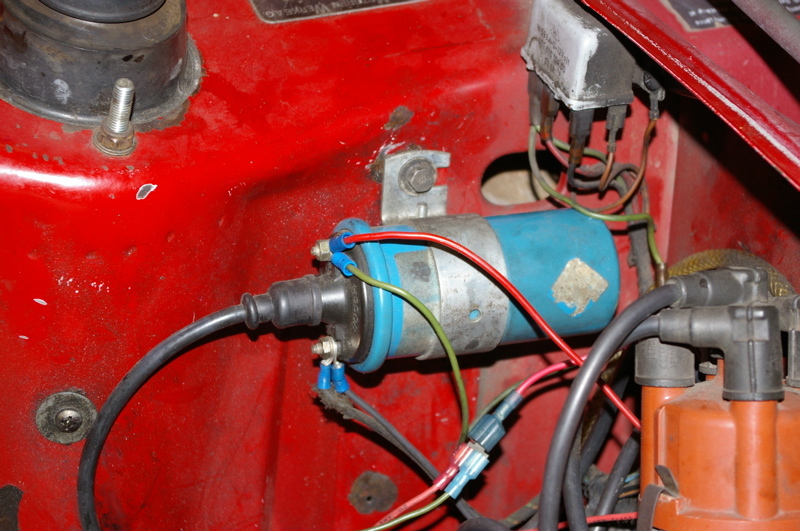 In the near future, the head will be removed, rebuilt and installed with the Stahl header (the exhaust manifold is currently rusted to the studs holding it in). After that, I plan to buy a new front windshield (this one’s all pitted) and install it with the new seal. 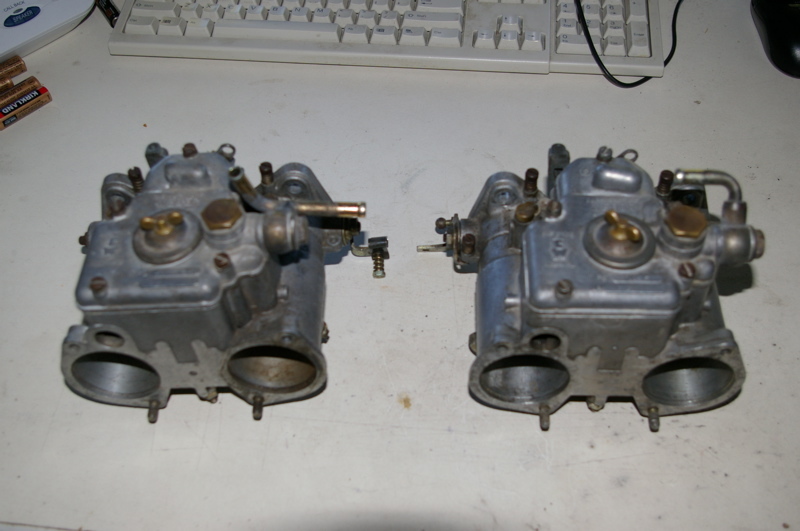 When these priority items are finished, I plan on rebuilding the Weber 45DCOEs I have sitting in a box, installing them with some 1800Ti/SA manifolds a friend is supposedly giving me, convert to cable linkage, and have a 284° or 292° duration cam reground. That was longer than I was expecting. You are currently browsing the SPAGHETTIBLOGGER blog archives for May, 2007.